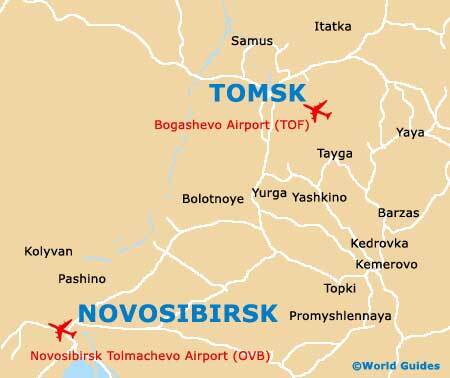 There are many cultural places of interest to visit in the city and the Tomsk History Museum is the perfect place to start, offering you the chance to learn more about the city's achievements and stories since its founding in 1604. 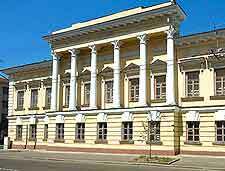 Also home to an impressive arts scene, the main gallery here is the Tomsk Oblast Art Museum. Situated in the city centre and occupying an attractive building, the collection of art work within the Tomsk Oblast Art Museum comprises no less than 6,000 pieces and those on display are spread around the galleries, over three floors. A very modest attraction comprising just two rooms of the city's famous Atashev Palace, the Regional Museum is nevertheless worth a look if you have time on your hands. Inside are some valuable antiques and period furnishings, while outside you will find a rather unexpected missile launcher, which points towards the actual palace roof. 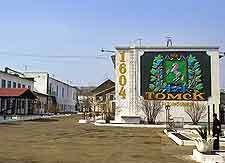 Located on the famous Resurrection Hill, the Tomsk History Museum is a good place to learn plenty of interesting facts about the city's past 400 years. Of particular interest to most visitors is the wooden lookout tower, where those prepared to climb to the very top will be greeted with truly glorious 360-degree views of the cityscape. Look out for the seven historical churches, which are dotted around the city centre. The Tomsk Oblast Art Museum is the perfect place for some serious art appreciation and was established in the early 1980s. Much of the collection has a strong contemporary theme, with large and colourful paintings created by leading modernist artists from Russia and beyond, during the 20th century. However, there are also plenty of Russian portraits created during the 19th century. Visiting exhibitions ensure that there is always something new and fresh to view here. The Oppression Museum remembers the country's important Soviet past and Communist years, and is housed within the former Tomsk KGB headquarters, which was once actually a school. Set within the buildings dungeons, the Oppression Museum features prison cells, survival stories, literary exhibits and a range of KGB artefacts and memorabilia. This is a truly unique attraction and although the guided tours are only in Russian, they are still recommended.